Red, orange, yellow, green, blue, indigo, and what’s that last color again? Oh yeah, violet! When I was little I was a tomboy, so I hated the color pink. I would always reach for red or blue crayons when my friends would go for the pink or purple ones. It took me until I was older to realize that maybe I judged too quickly, and now I’m happy to report that pink and purple make it into my drawings. Coloring pages are so much fun for kids, no matter what color they choose. The best thing about thing about this simple kids’ craft is that you only need two materials: markers/crayons and a piece of paper. Don’t forget to bring your creativity to the table because you’re gonna need it to fill in a beautiful butterfly or an entire circus with a lion. Printable coloring pages are a blast for kids of all ages. Whether you’re a tiny tot or a teenager, you’ll love expressing yourself this way. AllFreeKidsCrafts has gathered up 20 Printable Coloring Pages that will make your day. So settle down with a Tickle Me Pink crayon in one hand and Macaroni and Cheese in other, and get to work on creating a masterpiece. Rawr! Don’t be scared away from these animal coloring pages. 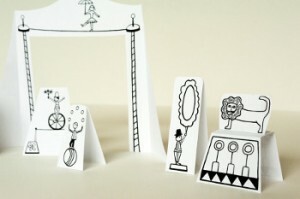 This Printable Paper Circus with Animals is full of animals that won’t bite. Simple kids’ crafts like coloring pages are perfect for boys and girls who want to befriend Winnie the Pooh or a butterfly, but just can’t seem to find a way. By coloring these printable coloring pages, you can make your favorite animals look any way you want. When you’re done, the lion from these coloring pages will be ready to jump off of the paper and into your own home. There’s nothing better than grabbing a handful of crayons and going to town on a coloring page, except if what you’re coloring is oh-so-adorable, like all of these simple kids’ crafts. Try these cute coloring pages if you’re looking for something fun to do on a rainy summer day or snowy winter night. 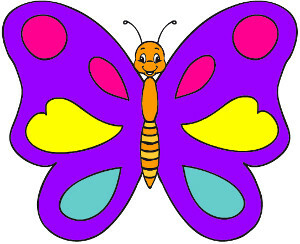 Printable coloring pages are perfect for boys and girls of any age. There’s no right or wrong way to color in these cute characters. All you have to do is use your noggin to come up with beautiful color combinations, and mom and dad will want to hang your creations all over the house. 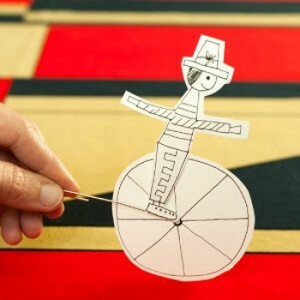 You might find this adorable Circus Rider Toy waiting for you on the craft table when you wake up tomorrow morning, so get to work! After you color him, you can put him on a wheel and have him ride all over your house. How can you color without using markers and crayons? By using the computer, of course. These online coloring pages are perfect if you want a mess-free craft. You won’t get any stains on your hands or clothes. All you need to do is ‘paint’ with your computer mouse, and then print out your beautiful work of art. These printable coloring pages have as many colors to choose from as your biggest box of crayons, and none of them can break. 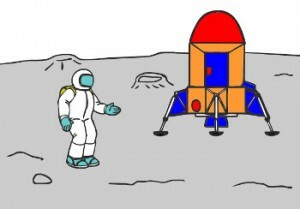 Try the Trip to the Moon Online Coloring Page and you will be amazed at all you can do. Color in an astronaut, the moon, and rocket ship all on your own. Simple kids’ crafts are the best when they involve clean, creative fun. Enter to win upgrades that will let you add AppCertain to two additional mobile devices. This fantastic program provides parents with a sense of security as it sends an email within 24 hours once a new application has been added to their child’s device, whether it be an iPhone, iPad, or iPod Touch. 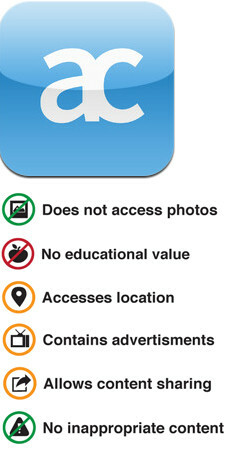 Not only are you alerted each time a registered device downloads a new app, but you also receive AppCertain’s pros and cons regarding the downloaded application. There is also a new curfew mode that will turn off your child’s device at a designated time! The deadline to enter is September 30, 2013 at 11:59:59 p.m. Eastern Time. 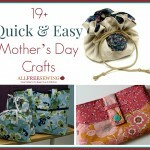 Do you prefer printable crafts or crafts made with materials? Members of The Crochet Crowd were asked on July 12th, 2011. Do you buy your yarn online, if not, what would get you to buy your yarn online? Frankly, I am surprised as many people are already buying online. I expected it to come back from everyone saying they would never do it. Retailers!!!! Are you paying attention to this? Karen Archamboult I agree with Ashley, free shipping and reasonable pricing. If you can get it on line for the same you would pay in a store, then on line of course. Otherwise, let’s go shopping. Hope that helps Mikey. Amy Davis I buy sock yarn online. Cheaper shipping would get me to buy on line more often. I usually buy a lot at one time so I get my moneys worth for the shipping. Tina Rego I buy most of my yarn online. Free shipping and more colors. I also can watch the sales more. Whittney Renfro I haven’t yet bought any yarn online, but I’d like to mostly for specialty yarn that isn’t sold in any stores in my area. The only reason I haven’t is because I can’t actually see and feel the yarn in person, I have to just trust a picture and a few reviews. Maha Hall I buy my yarn online because there isn’t any here where I live which is Saudi Arabia. I have been buying from Yarn Paradise in Turkey which has some really nice and unique yarns. Lisa Defferding Yes I have but only whenit is free shipping or something I can’t find around where I live. I have found yarn online is more expensive than in the store, so if it isn’t anything I can buy local it will order online. Bj Vermillion I buy yarn online sometimes when I want a color or a yarn that my lys doesnt carry. The selection on line is far greater than what I can buy locally. Ebony Gee i bought online for the first time a couple of weeks ago from herrschners.com. was extremely pleased with the quality and price. i got eight skeins, and with shipping, the cost was about five bucks less than i would have paid for eight skeins at hobby lobby, michaels or jo-ann’s, including tax. i will purchase again from this company. In the UK most yarn retailers are small independents, so I prefer to buy my yarn from a small shop in the next village. However, I’m a slave to online sales, and recently bought a mixed pack of 17 balls – the colours are gorgeous and I’m slowly working my way through them and sharing my products on my blog. The reason I bought online was that it was a reasonable price, and as soon as i saw them I wanted them :). Interesting to see the points of view re “free” shipping. As an online retailer myself, I know that if retailers don’t charge extra for the shipping, they’re building that cost into the price of their goods, so you end up paying, regardless. If not, then the retailer would soon go out of business or make very little profit. And let’s face it, most of us pay out in petrol to go buy the yarn at the store…so what’s the difference? So what did you think? Comments? My free online tutorials, Mikeyssmail, has been broadcasting Free Loom Knitting and Crocheting Tutorials for iTunes for 1 month now. iTunes is something I have stayed away from because I never owned a Mac Product. I figured iTunes is just for iPod-like products. I never realized the power and free accessibility for everyone online that has access on iTunes. If you are not listening or watching a PODCAST, you can just turn on a radio station that is specific to your listening pleasure broadcasting live. I recently stumbled across Tiffany Windor’s Favecrafts Radio. OH WOW! What a treat! I am working at my workplace and people think I am listening to the radio… but don’t tell anyone… I am being inspired and getting the itch to get home and get some yarn and crafts into my hands to begin something that I have heard about on her show. Her guests are creative and just regular people who have found a way to really expose their creativity. The advantage to iTunes is that if you own an iPod or something equivalent, you can simply download and take it with you. This allows you to do tutorials on roadtrips and continue to be inspired without being wired to your home. Come on over to the iTunes store and search Mikeyssmail or even Favecrafts Radio. You will find both of us there. Inspire, Create, & Celebrate! A very common question I receive is about the amount to charge for crafting goods. I specialize in teaching Crochet & Loom Knitting. New enthusiastic people come on board and learn with my “How To” tutorials and then get all rev’d up on the excitment. While sitting there, they get thinking big about creating their own home based businesses. They see people selling stuff all over the internet and then they start seeing themselves as a business owner and marketing their goods. Realistically, what something is worth is up to the person who wants it. If you are creating something that can be found all over the internet, “How is your product any different?” Are you doing something, a stitch, an emblishment, or a style that is unsually pleasing to the creative beings of your purchasers? Many websites have great Create Your Own Online Stores with service fees attached to it. Then companies like EBAY or PAYPAL also take a small percentage of your purchase price. Have you thought about shipping and the level of services required to ship your item. Just ensure you factor in the costs of all the service fees that make a transaction possible. We are in a society where “OUR WORK” aka Creative Designs is heavily discounted due to mass production of stuff available to the general public. 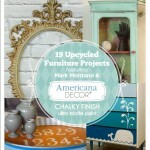 We are very used to big box stores clearing creative things at bargain prices. So when you go to price your item, you need to think about your material costs, and then time involved. For some strange reason, “Time” in “OUR WORK” seems to be heavily discounted as its perceived as a pass time hobby. However, you are still an artist regardless. I know myself… people have offered prices for blankets that have taken 40 + hours and the rate they want to pay is less than the material costs of the yarn. The big box stores have made it harder for real people who have creative abilities to be recognized because they can buy something that looks half creative at a fraction of the price. Creative to many people these days is a really cool idea that has been mass produced a million times over that would look great and can be made cheap due to the mass production involved. People perceive seeing something in your project that they seen at the local store for merely pennies… and take that in account when offering a price. Great photographs. Don’t show pictures of your goods with an untidy house or something in the background that is a turn off. Be careful of showing pets. Pet hair perception on items is possible and a turn off to some people. Do great write ups about what they are purchasing. Tell a story… give your items some meaning. The inspiration or thought behind your item. Tell the realistic time on how long it took to make. Don’t expose your raw material costs, but focus on the emotional satisfaction of what it was like to create it. Don’t be too specific on the materials used or the methods on how you got your item to the way it did. There are many people out there who may be asking questions but getting you to reveal your trade secrets so they can mimic or duplicate it for themselves. If you are customizing… say what options are available. Tell how you are shipping it and maybe communicate tracking numbers and when you shipped it to the buyer. There will be people that will bargain with you and will try to get your price to near costs if not below costs. Remember, those customers aren’t doing you any favors. Those are the type of people taking advantage of artists creativity for their own personal gain. If you are using Facebook or social networks to sell your goods, be careful what you post and the comments you decide to make. If you are a negative commenter about your own life or personal circumstances, it may be best to keep potential buyers from seeing your Facebook. Reading negative comments or life’s sad stories really don’t get a buyer to be sympathetic to purchase… they are silent deterents. There’s lots to think about… and many people can benefit from making a few extra dollars off their creativity. Just be mindful and think about all avenues before getting the itch to buy a skid of raw materials.